When it comes to the top management in organisations, skepticism towards strengths-based leadership approaches and interventions is still common. So how can we encourage top hot shots to talk about their strengths, show appreciation, and create an environment where employees can truly flourish? In this article, professional coach Silvia Schmuckli takes us through her experience in using positive psychology interventions to encourage a management team to bring their stinky fish to the table. Follow-Up – Creating Sustainable Change? What Are The Success Factors When it Comes to Applying PP Tools in Business? Early 2016, Silvia Schmuckli, psychologist and professional coach with a practice in Berne (Switzerland), was approached by the CFO of a SME based in the micro technology sector. “We are a management team of five and we get along really well” he started off. “But whenever there is a difficult topic, we manage to beat around the bush and brush it under the carpet. Between the five of us, we have come to agree that we need to improve our conflict skills and learn how to grab the bull by the horns”. With this brief in mind, Schmuckli arranged to meet with the five managers. But instead of preparing for a mediation session, she decided to go down a different road. It was apparent that the management team were ready to work on their conflict skills. After all, they had decided to tackle this issue during a time of strength rather than waiting before it became urgent. This sounded promising and Schmuckli decided to propose a strengths-based approach in the form of a set of workshops based on tools and ideas from the field of Positive Psychology. By building on what was good in the team she was hoping to strengthen what areas needed work. And gain credibility to reframe the team’s image of conflict which – not surprisingly – seemed to be negatively connoted. “When I first met with the team for the initial briefing, I told them that I was a big fan of conflict” she recalls with a smile. As expected the five men were rather irritated, so she explained the potential for innovation and growth which conflict provides. Through explaining the powerful learning that conflict could offer, the team who was initially skeptical, they were soon excited by the idea of working with their strengths rather than having to analyse their shortcomings. Schmuckli suggested a workshop to define the goal of the coaching and crystallize the existing resources within the group which they were able to utilize to develop towards their goal of better conflict management. The prospect of a workshop based on qualities and talents immediately created a complaisant and creative atmosphere. From the start, the five participants were able to completely engage in the workshop without hesitation or prejudice. What was good about their cooperation? What worked well in their organisation? What has made them successful in the past? They all agreed that they got along well, showed respect for each other and were willing to work together. They also approved of the fact that they listened to each other and were able to create a supportive environment. The awareness of all these resources created a buzz. During the second part of the workshop, Schmuckli got them to verbalize what exactly it was they wanted to improve, using the “miracle question” commonly used in systemic therapy and positive CBT. This revealed some personal hopes, such as being able to sleep better and feeling better about going to work in the morning. “Realising that there was a personal benefit to be gained and that they were all in the same boat was a defining moment in the process”, recalls Schmuckly. The agreed upon goals at the end of the first workshop were; wanting to face and benefit from conflict, to stay more focused and to reduce conflicting claims to power. After the first workshop, they had a shared understanding of where they were headed and the positive approach helped them realise how much was already working well. The second workshop was designed to learn about strengths and values. The participants had filled out the Clifton Strengths Finder profile and taken the VIA survey prior to the workshop. Now Schmuckli got them to think about how they used their strengths as resources in their job, and how the company, the employees and their colleagues benefited when they used their strengths. This exercise made them realise, that if they all got to focus on what they did best, the potential they had as a team was exponential. Later in the process, this awareness was crucial, because they realised that instead of amending their job descriptions (something they had planned to do) all they needed to do was let each other do what they did best and trust in each others capabilities. At the end of the workshop, they shared and discussed their results which created an unusual vibrant energy among the normally rather stern men. During the third workshop, they were asked to write down three core strengths or talents they perceived and appreciated in their colleagues. Importantly, Schmuckli insisted they give an example of when they saw these talents in action. This exercise again created a lot of positive energy in the room. While one executive was giving an example of how the other uses a strength, the rest of the team would join in and add more examples. A summary of every executive’s resources and values was then put on a large flip chart page, one page per person. The last part of the third workshop was used for each participant to present their resources to the team. Schmuckli highlights the positive atmosphere during the workshop and how keen they were to participate. Schmuckli believes that “Of course we cannot solely focus on the positive, that is not how the world works”. So during the fourth workshop, she had the participants analyse their conflict behaviour and think about how this behaviour impacted a conflict situation. This exercise worked to create new awareness and understanding of their role in conflict situations. Schmuckli also got them to brainstorm how they could possibly benefit from carrying out a conflict openly. Having focused on their strengths and values in the previous workshops, this discussion made them realise that they had more to gain from conflicts than losing power. The fifth workshop revealed some great insight, where Schmukli got the team to review what they had learned so far. During the discussion, one member compared the way they dealt with problems as a big bow wave in front of a large ship. This image spurred on a vivid discussion, and one member added “our problems are like stinky fish, we try to avoid having to deal with them!” This was a picture they all agreed with. So what could be a positive approach to dealing with stinky fish? They decided that in the future they wanted to hold a fortnightly meeting which they called the fish market, where they would bring and discuss their stinky fish. “Having this image of a fish market and stinky fish made it easier for them to deal with difficult issues and they were pleased to finally have a way of approaching difficult topics.” explains Schmuckli. So after a few months, how is business going at the fish market? They had agreed to meet one last time with Schmuckli, a couple of months after the last workshop, in November 2016, to make sure that they could keep the momentum and implement what they had learned about dealing with conflict in order to create sustainable change. However, in November Schmuckli received a phone call from the CFO. Schmuckli was happy to hear that the team was going so well and that her effort paid off. And she is now curious to see where the team will be when they meet again in February 2017. 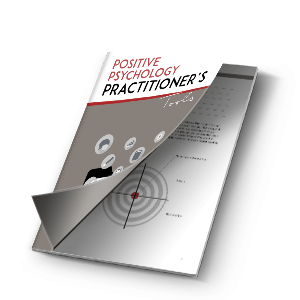 If the positive approach coaching is more in line with your aims, goals and values here is an introductory PDF which will provide you with a neat overview of the role of a strength-based approach in coaching. Alternatively, if you are already an organizational coach here is another PDF on Strength-Based Coaching for Managers. Schmuckli believes that building credibility and trust by providing information is vital. Generally, Schmuckli believes that the positive approach had a great impact on the end result.“It was important for the team to get to know each other as humans, as private people rather than in their business roles” she explains. Finally, Schmuckli concludes that the positive approach is more likely to foster humour which is the basis for success. Switzerland-born Silvia Schmuckli originally qualified as language teacher and worked in Switzerland and Japan before she decided to study psychology. Today, she is a qualified psychologist, professional coach and mediator and a keen Positive Psychology practitioner with a practice in Berne, Switzerland. Together with her business partner Christoph Dobler she founded the Institute for Positive Leadership which aims to maximize potential of Positive Psychology in organizations by bringing together science and business.